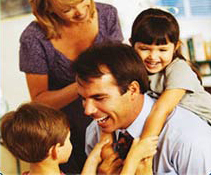 Group health insurance is similar in form to individual health insurance. The main differences are the requirements for acceptance and the conditions under which a person may apply. Before applying through a group a person must satisfy the waiting periods and employment requirements for the group. However, once an application can be made the conditions for acceptance are usually less strict than with an individual policy. Also, certain protections under the law are available for members of group policies that are not available to owners of individual plans. These plans are not only designed to lower your premiums, but there are also substantial tax savings.